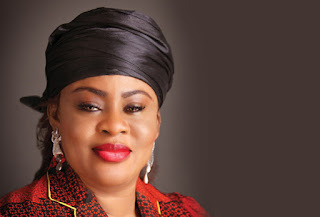 A former Minister of Aviation, Ms. Stella Adaeze Oduah, now a senator, on Thursday said she would take legal action against an online platform over the publication linking her to an alleged N2.5 billion fraud. The senator said the planned court action had become necessary so as to checkmate the excesses of the platform and put the online news organisation back on the right track of journalism in the interest of this country and those wishing to serve in government. Citing a source at the Economic Financial Crimes Commission (EFCC), the news platform alleged that Oduah, who is representing Anambra North in the Senate, was involved in a N2.5 billion fraud in an account opened in the name of un-named housemaid of the senator. In a statement in Abuja by Francisca Onyeisi, Head of Communication in the office of Senator Oduah, the ex-aviation minister said the report was totally false, baseless and at best the imagination of the platform which she said was only set out to extort and blackmail leaders in its continuous attempt by their paymasters to break the rank of senators of the eighth assembly. Oduah challenged the news organisation to produce evidence of the imaginary account of the supposed housemaid to the public. The statement said over the past few months, the medium has continued to surpass itself by continuously sinking to an all-time low of posting uncorroborated reports to mislead Nigerians to promote the agenda of certain elements whose fight against corruption could only been seen on pages of newspapers and pockets of their media spinners while millions of Nigerians remained unemployed and hundreds of thousands of kids go to bed hungry day in day out. The online platform was said to have claimed that its sources in EFCC said a whopping N5.6 billion must have been stolen and went further to contradict itself that the agency had determined it was N3.6 billion then again reduced it to N2.5 billion in the same publication. The senator lamented the extent to which the online platform has drawn the reputable profession of journalism, to which unfortunately unsuspecting platforms would copy and paste on theirs without even lifting a pen to confirm the story. She stated that if truly such account existed as claimed by the online platform and it was still operational and that the so called housemaid had not been called in for questioning when the agency was freezing accounts and going after opposition governors who enjoyed same level of immunity as the president, then something was fundamentally wrong somewhere. Oduah said at no time did she ask or try to meet with the EFCC chairman. The statement read: “We also want to state that while the online platform, well known for its penchant for lies and spurious allegations may have made another calculated attempt to taint the enviable record and achievements of the distinguished Senator who had made a mark in oil/gas and agricultural businesses before joining politics, we therefore challenge the online platform to produce evidence of the imaginary account of the supposed housemaid to members of the public. “We would like to state unequivocally that this report is totally false, baseless and has no sense in it, in the first place, Oduah has no female domestic staff, in the second place what would be the sense in putting such money in a personal account, is it for savings or concealment? Either of which makes no sense no matter how big the person is. “We are confident to say that the report did not by any imagination arise from EFCC because the EFCC of today we know are diligent and works with facts. We are convinced that the source of the report must be the handiwork of some mischief makers who have not hidden their determination to bring Oduah down by every means. According to her, “Oduah is one of the few senators who after one year in office is still battling with pre-election matters in court. “We are convinced that it is because they have not been able to completely uproot the senator that they reverted to their usual character assassination strategy. It is our wish to use this opportunity to appeal to the persecutors of Senator Oduah to let her be in the name of God after so much trauma. “They must remember that Senator Oduah is not a new name in the Nigerian economy. It is known to all that Oduah was a well-known business woman who founded and managed an outstanding successful business in the oil and gas sector before venturing into government. “It is also well known to every fair minded Nigerian that she lost her business as a result of her incursion into government for which reason she came out of government poorer than she went in. “We want to state that our only consolation in the regrettable scenario that is playing out now is that Oduah’s work in government as aviation minister cannot be denied even by her worst enemies. Her work at the airports shall remain the pride of the aviation industry in the next 30 years.